Daffodil in bloom at the Biltmore Estate, Asheville, North Carolina. January 28, 2013. Monday Betsy and I went to Asheville, North Carolina, to the Biltmore Estate. We went primarily to visit the Conservatory — something we do a couple of times each year — and to do some walking around the estate. 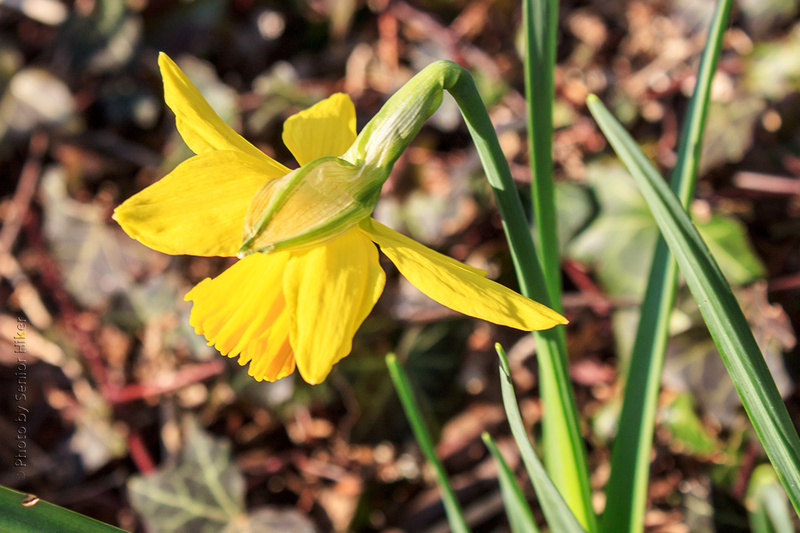 As we were walking through one of the gardens back to the car, we spotted this daffodil in bloom under a tree. Some of our daffodils are up, but they are a long way from blooming. It was a surprise to find this one in bloom. Orchid in the Conservatory at Biltmore, Asheville, North Carolina. January 28, 2013. As I mentioned, Betsy and I went to enjoy the flowers in the Conservatory. 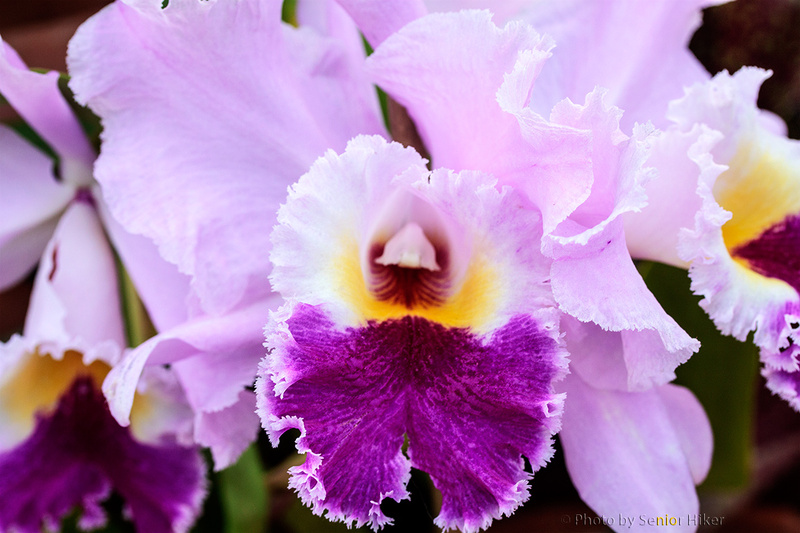 We spent quite a bit of time in the Orchid Room, enjoying beautiful blossoms like the one above. 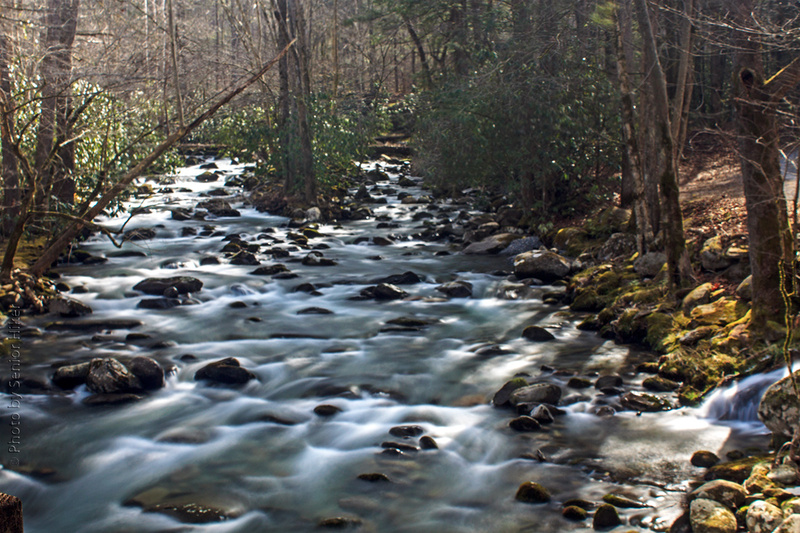 Little Pigeon River, Great Smoky Mountains National Park, Tennessee. January 23, 2013. Last week Betsy and I traveled to Gatlinburg to spend a couple of days in the Smokies. Although our trip was cut short by an impending ice storm, we still were able to enjoy the beauty of ‘our’ Smoky Mountains without the distraction of lots of traffic or tourists. 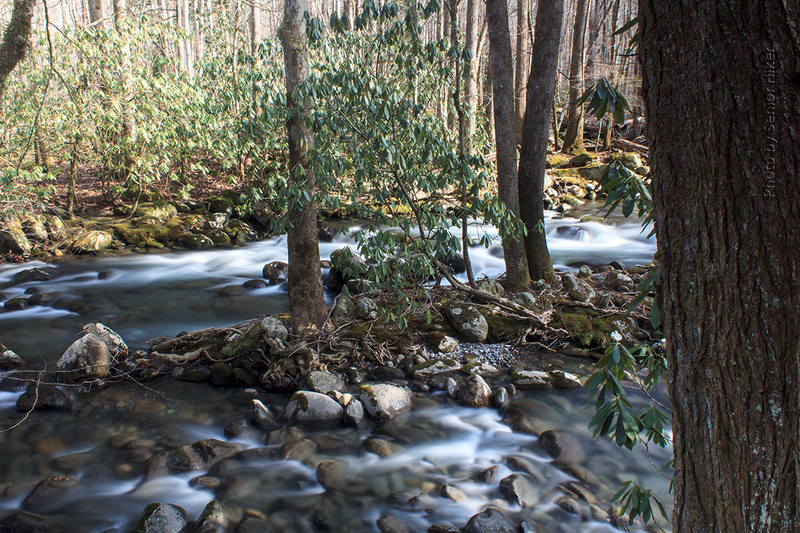 Winter is a marvelous time to visit the park because the rivers are relatively high, and the rocky stream beds provide wonderful photographic opportunities. 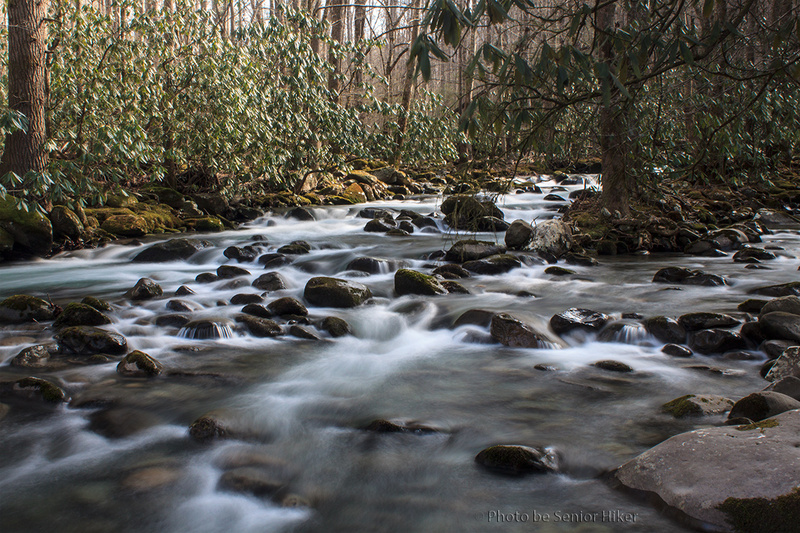 On our second morning in the Smokies we drove up Greenbrier Road along the Little Pigeon River. Although we stopped several times for pictures, these photos were taken at the bridge where the road to Ramsey Cascade meets Greenbrier Road. All of the images are from my archives, scanned from slides. Back in 1987 I was able to spend several days on Bali. 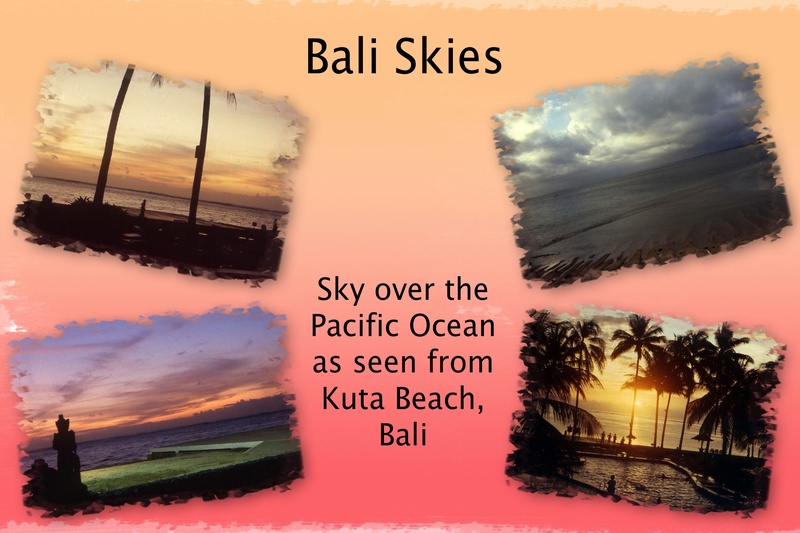 Bali was just about everything you could imagine for a south sea island paradise. The skies, and the sunsets especially, were spectacular. These photos were taken at Kuta Beach Resort. Although we both lived in Hendersonville, Tennessee, at the time, we got married in Knoxville. We did this so that we could have a small family wedding. 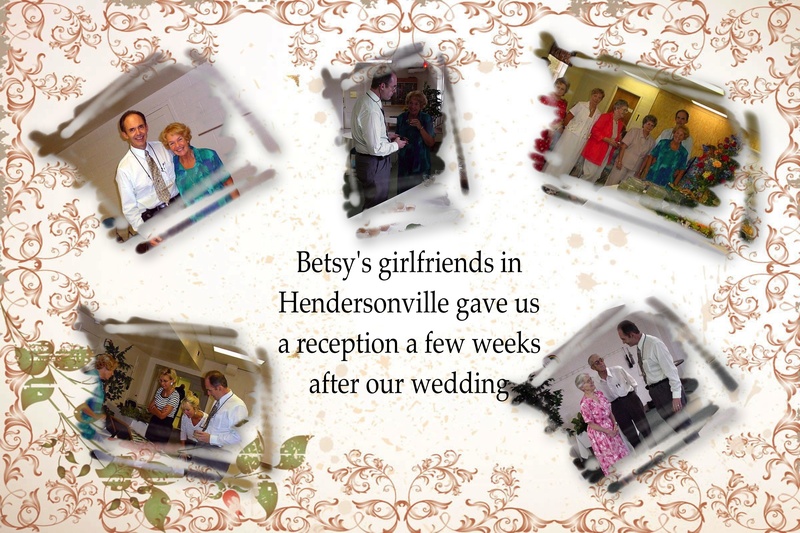 Betsy was the Associate Minister at a large Methodist church in Hendersonville and she didn’t want to have to make decisions about who in the congregation should be invited and who should not. ‘The Girls’, Betsy’s girlfriends from the Hendersonville church, gave us a reception in the church fellowship hall a few weeks after our wedding. This allowed members of the Hendersonville church to share in our wedding. I came across pictures from the reception when I was going through my archives and posting pictures on my photo website. The collage above includes some of those pictures. From left to right along the top: Betsy and I when we arrived at the reception, sampling some of the goodies, and with ‘The Girls’. On the bottom left we’re sharing some photos from our wedding and honeymoon. On the bottom right I’m talking with Mom and Dad. Wetumpka Falls, Tullahoma, Tennessee. February 9, 2012. When Betsy and I go to visit Dad, we try, if at all possible, to take him out for lunch and a ride. 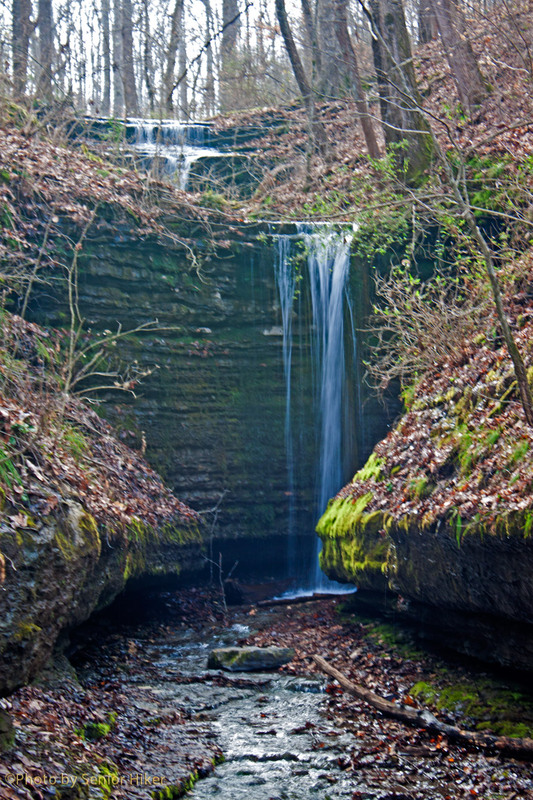 On one of our rides last year we came across Wetumpka Falls near Tullahoma, Tennessee. Wetumpka Falls is in a wooded setting. 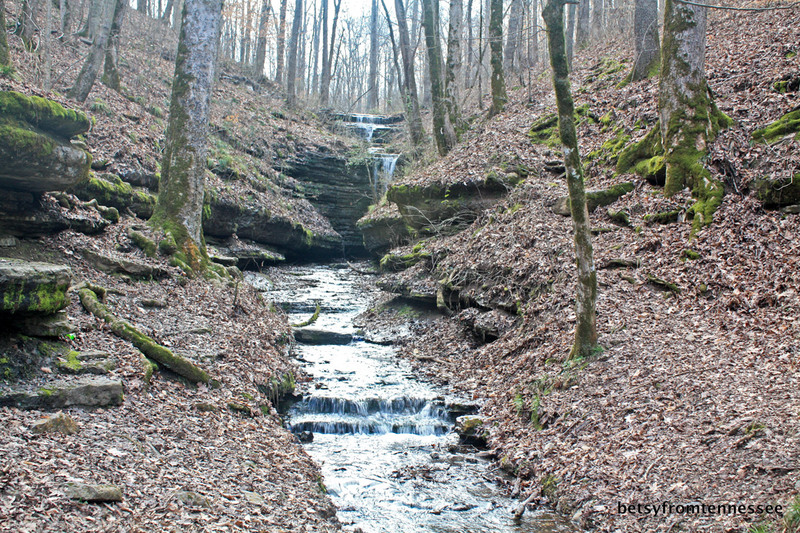 Although the stream doesn’t have much water, the result is a pretty little waterfall we enjoyed visiting. 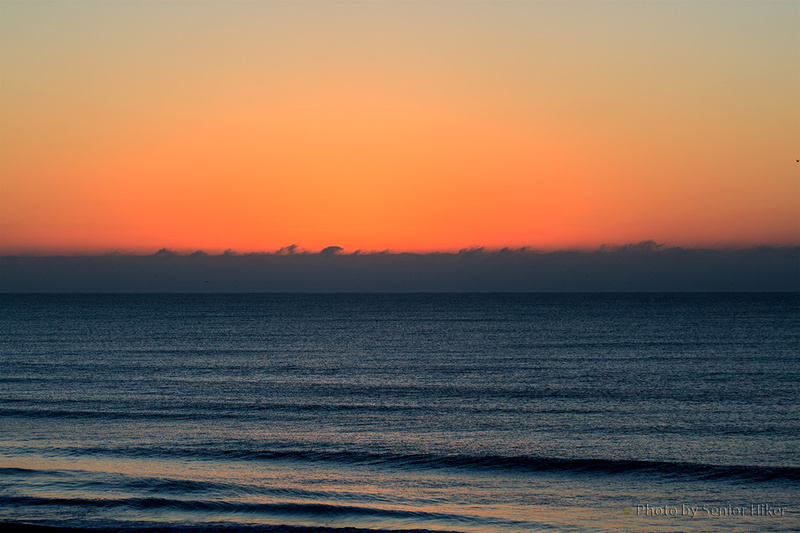 Dawn brought some beautiful color to the sky off Ocean Isle Beach, North Carolina. December 14, 2012. 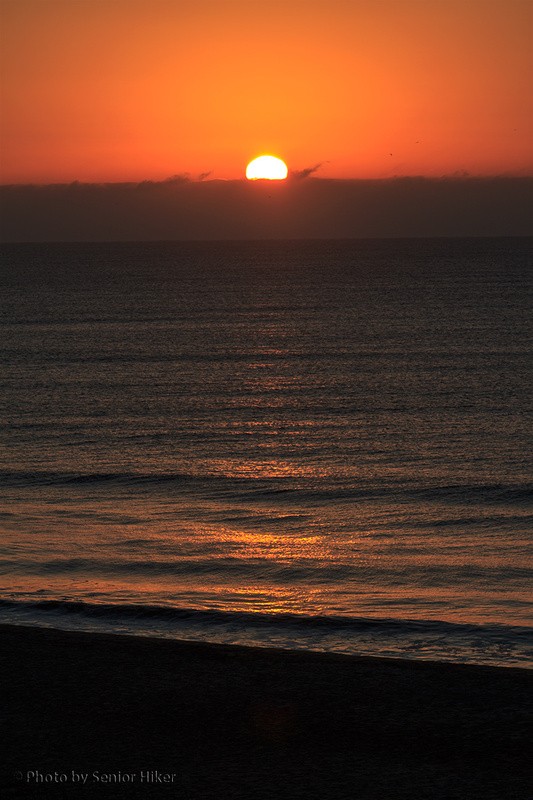 The weather wasn’t the all that great when we were at the beach last month, but we were treated to a gorgeous sunrise on our last morning at Ocean Isle Beach. The sun making an appearance off Ocean Isle Beach. December 14, 2012. 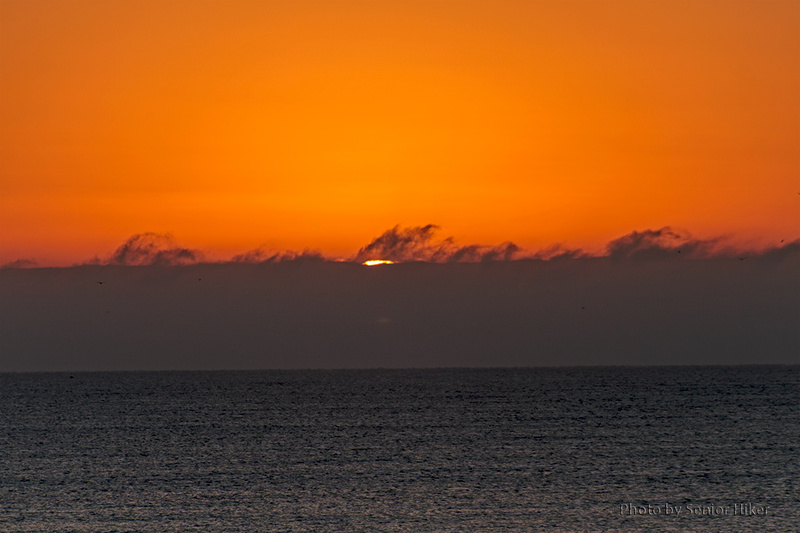 There were low clouds on the horizon out to sea, but the sky above was clear and beautiful. We were able to watch as the sky brightened and the sun made its appearance. A path of light leading to our room. December 14, 2012. As the sun moved above the horizon, it sent a path of light straight toward us. While that made it hard to leave, it certainly gave us something to look forward to when we go back. 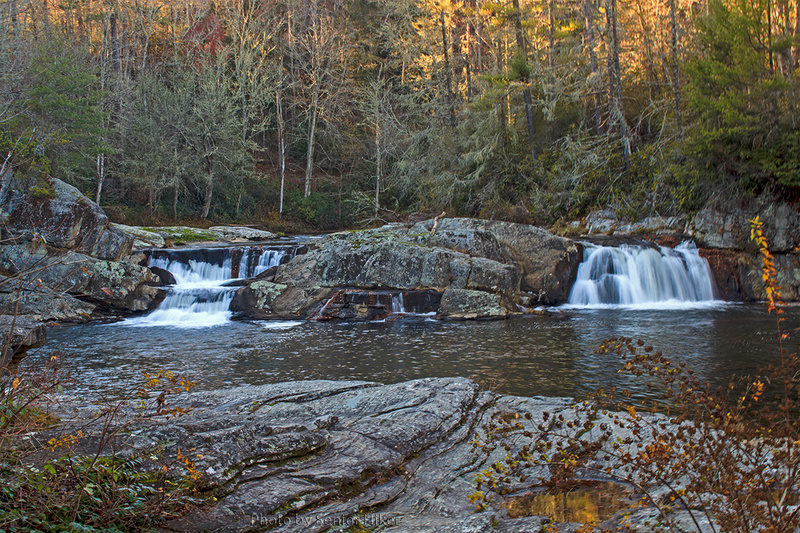 Upper Linville Falls, Linville Gorge, North Carolina. November 8, 2012. In early November Betsy and I went to Asheville, North Carollina, to visit Mount Mitchell and enjoy some of the beautiful scenery along the Blue Ridge Parkway. But Mount Mitchell State Park was closed because of snow, and a big part of the Parkway was closed due to construction. So we had to go with Plan B. Plan B included a morning visit to Grandfather Mountain and a late afternoon visit to Linville Falls. We had visited Linville Falls back in 2004, but this time we had a little more fun getting there because of the road closures. We reached a Forest Service trailhead to the falls in the late afternoon. 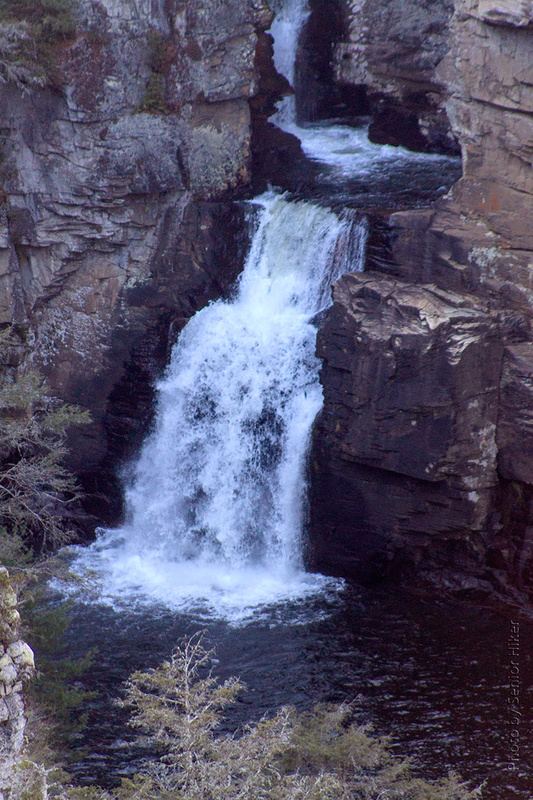 The trail first led us to Upper Linville Falls (above). The upper falls is a small double falls above the main falls. Although the falls are small, the setting is very pretty. Linville Falls, Linville Gorge, North Carolina. November 8, 2012. We couldn’t see the main falls from the upper falls, so we decided to hike to an overlook about half a mile away which offered a distant view of the main falls. I had to use my long lens to get the above photo. There is a small, twisting gorge (‘The Chimney’) between the upper and main falls. You can see the water flowing from the bottom of the chimney before reaching the main falls. It was getting late, so we didn’t make it to the Chimney View overlook, nor did we have time to hike to the base of the main falls. I guess we’ll just have to go back. The beach at Ocean Isle Beach, North Carolina, as seen from the balcony of our room. December 11, 2012. 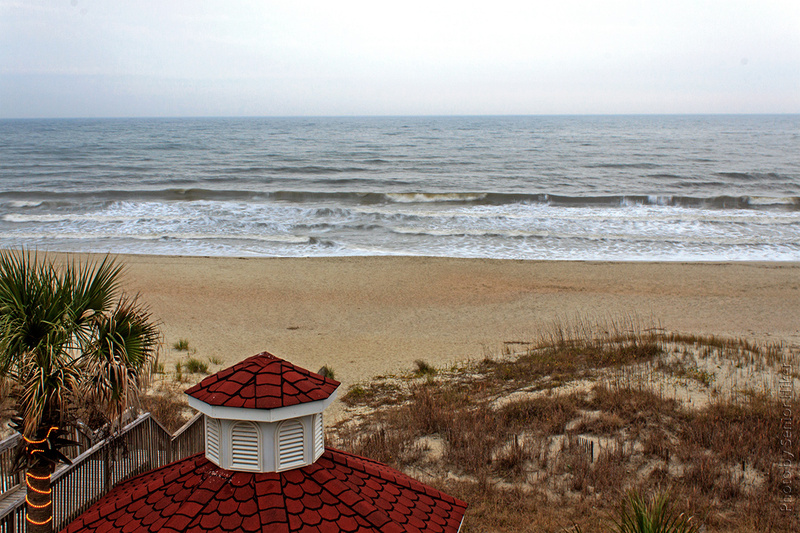 In December my Beautiful Bride and I made a quick trip to Ocean Isle Beach, North Carolina. Ocean Isle is one of our favorite places to be, and it is near Calabash, North Carolina, which has some of the best seafood found on the east coast. Sky and water off Ocean Isle Beach, North Carolina. December 11, 2012. The weather in December isn’t always the greatest, but in December we often have the beach to ourselves. 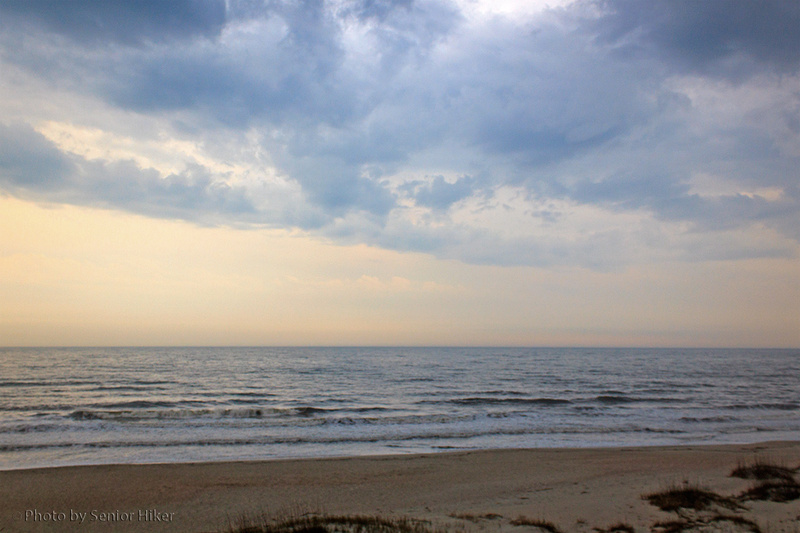 It was overcast the afternoon we arrived in Ocean Isle, but the afternoon light, the clouds and the water made a beautiful picture. 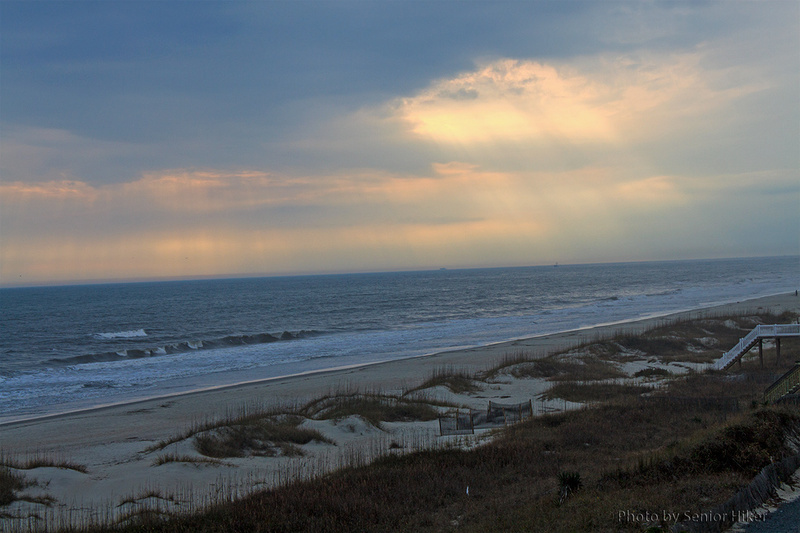 Sunbeams breaking through the clouds at Ocean Isle Beach. December 11, 2012. I was fortunate enough to capture some sunbeams breaking through the clouds in the late afternoon. Autumn color on the Cherohala Skyway. October 25, 2009. Moon in a blue sky over the Cherohala Skyway. October 25, 2009. I went to my archives for these pictures of a beautiful Tennessee sky. We were on the Cherohala Skyway on a gorgeous October day. 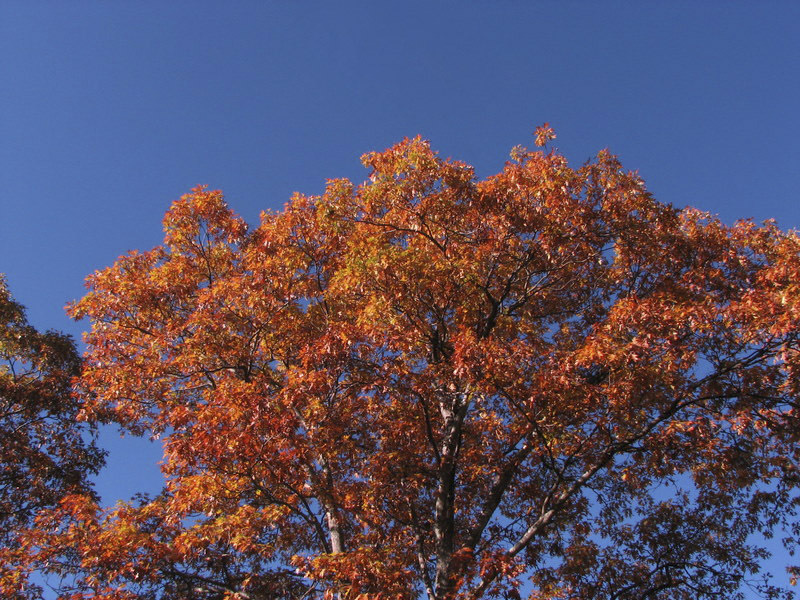 The autumn colors and the sky were both brilliant. The moon in that blue sky was an added bonus. On our first Christmas after we got married, Betsy and I took some pictures which we used in Christmas cards the following Christmas. That led to our habit of taking ‘formal’ pictures each Christmas morning. Our routine is to set up the tripod, get dressed in nice clothes, and take many pictures, hoping that at least one is a ‘keeper’. The whole process can take a fair amount of time, which can lead to some silly pictures as well as good ones. 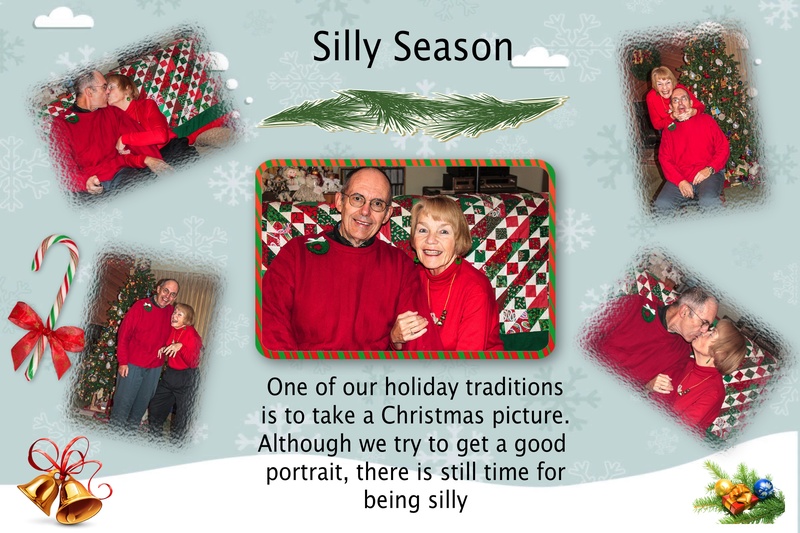 Santa gave me a post-Christmas present of a neat collage maker. The collage in this post is my first attempt to make a collage from scratch.